Every so often we are asked if its possible to pay in points instead of money. Technically the answer is no (but keep reading). Traditionally, iDevAffiliate will generate a commission structured with traditional currency, such as $13.23 USD. 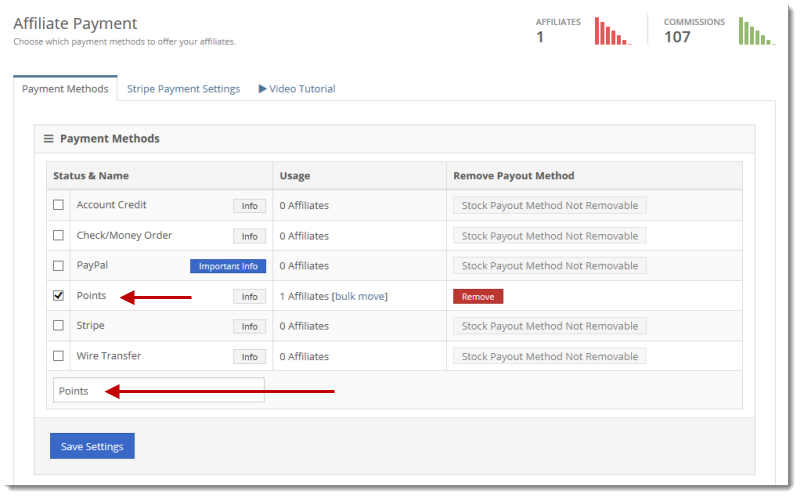 These commission amounts are due/payable via the iDevAffiliate interface when paying affiliates. Now, if you’d prefer to use a POINTS system, we have the following workaround / idea for you. 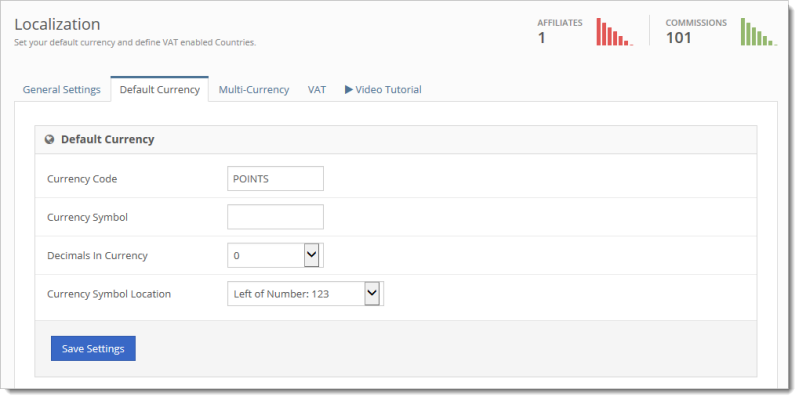 In your iDevAffiliate admin center, go to System Settings > Localization > Default Currency (tab) and use the following settings. Once this is done, instead of getting something like $13.23 USD, you will get 13 Points. That is because we have removed the currency symbol, set the decimals to 0 and changed the currency code from a traditional code to the word “points“. With this setup, you will have a few things other things to consider. You will want to create a new payment method called Points so affiliates know they are being paid in points vs. something like Paypal for example. This is done at System Settings > Affiliate Payment. Realize this will be a manual payment option now. When paying your affiliates, we’ll assume you will take the accumulated points and credit an account or do whatever you want with them to compensate your affiliate. 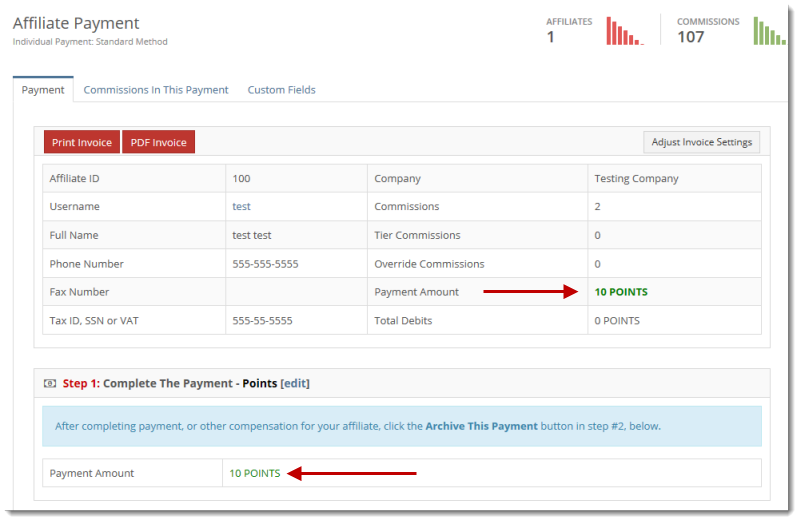 Once this is done (outside of the iDevAffiliate system), you can archive the payment like normal letting iDevAffiliate know compensation has been made. In your iDevAffiliate admin center, go to Templates > Language Templates and edit any text that reads as “commission” and change it to read “points”. Here you can change any other verbiage to read how you want as well.